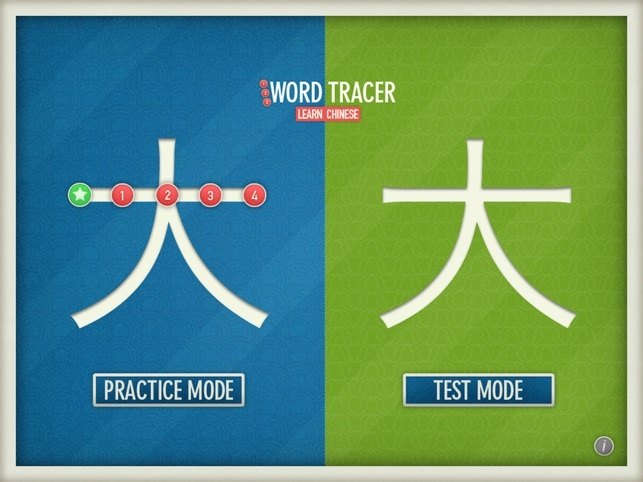 Word Tracer - Learn Chinese is an iPad app that is designed for people who wish to learn to write Chinese characters properly through tracing and feedback provided through the device. 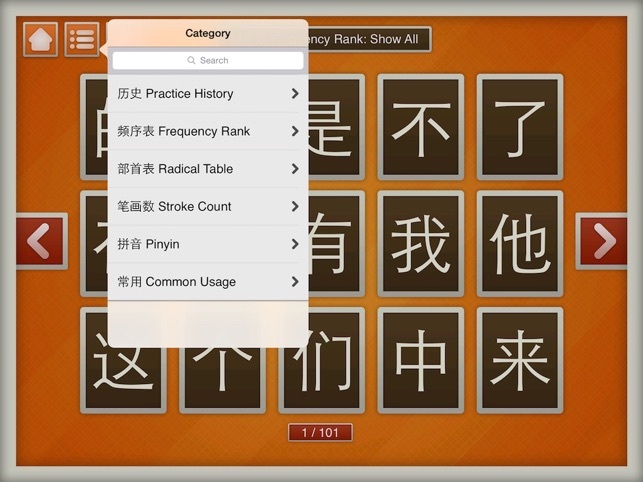 Writing Chinese is one of the most challenging aspects of the language; this tool provides an effective means to facilitate learning by letting the users practice 1500 commonly used Chinese characters (Practice Mode) and testing themselves (Test Mode). 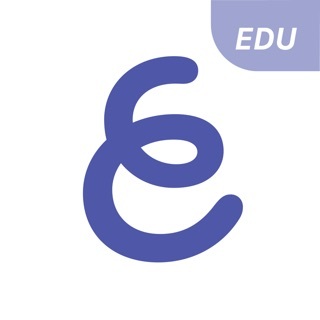 Common phrases are also provided to allow the learner to see how the word is used in context. The app is developed using a game engine and meticulously designed to provide the best user experience and performance. 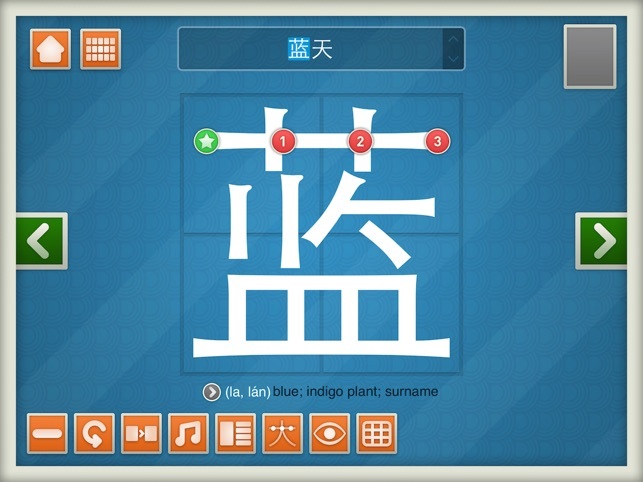 Every character comes with pinyin (with actual voice recording), English meaning and common usages. NOTE: Simplified Chinese (used in mainland China) is supported. Traditional Chinese (used in HK and Taiwan) is not supported. We think there is value in learning both. Since Traditional Chinese is more complicated for people starting out learning Chinese, it is a good idea to tackle that after you have mastered Simplified Chinese. Practice Mode - lets you learn new characters or practice old ones. 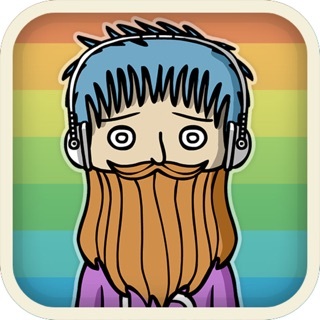 Test Mode - Test the characters you have learned and try figuring out how to write the ones you haven't. Practice History: Records what you have practiced and lets you continue where you left off quickly. Smart gesture support: Swipe right on any character in the Characters List screen to play the pronunciation. Swipe up to see the meaning of any word in the word list. 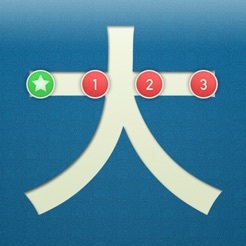 Show meaning button - shows you the meaning of the character and its common usages. Auto advance on/off - allows you to turn on/off the auto-advancing of the next character when you have traced a character successfully. 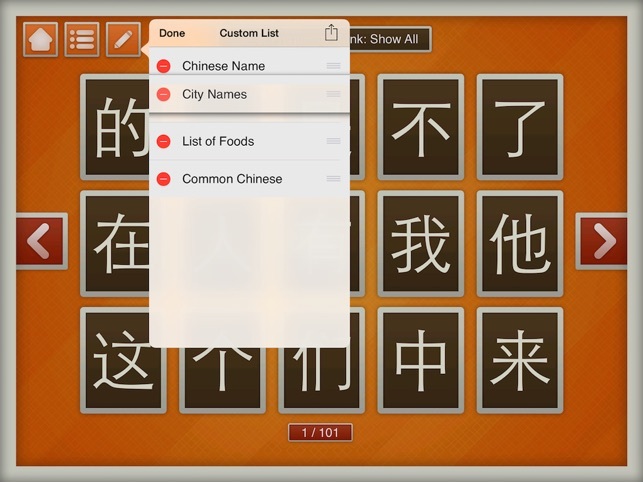 Music on/off - allows you to turn on/off the tracing sound and pinyin pronunciation. Show/hide Markers - allows you turn on/off the tracing markers. 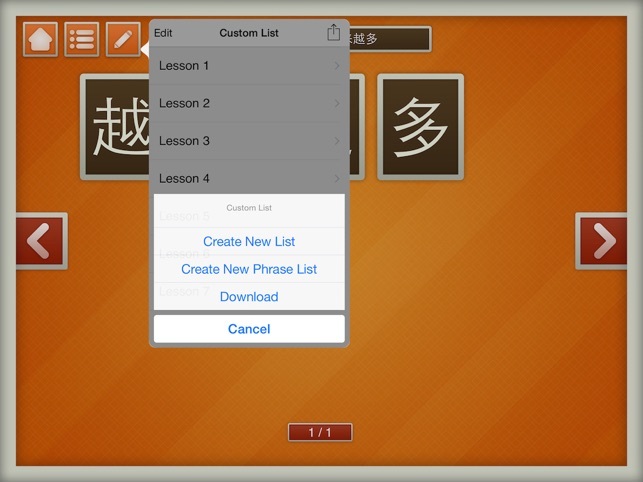 Play pinyin - allows you to play the voice recording. Added ability to upload/download custom lists and phrase lists from our website. Simply login and your lists will now synchronize with your Word Tracer app.